Two-time American League MVP Mike Trout has signed a 12-year, $430-million US contract extension with the Los Angeles Angels. Mike Trout is baseball's first half-billion dollar man. Trout and the Los Angeles Angels have finalized a 12-year, $432 million US contract that shatters the record for the largest deal in North American sports history. Trout will set a baseball record for career earnings at about $513 million, surpassing the roughly $448 million Alex Rodriguez took in with Seattle, Texas and the New York Yankees from 1994-2017. Trout's latest deal tops the new 12-year, $330-million contract between Bryce Harper and the Philadelphia Phillies, and Trout's $36 million average annual value would surpass pitcher Zack Greinke's $34.4 million in a six-year deal with Arizona that started in 2016. The contract also would best Mexican boxer Canelo Alvarez's $356 million deal with sports-streaming service DAZN. Trout's deal includes a signing bonus and supersedes the six-year, $144.5-million pact that had been set to pay him $33.25 million in each of the next two seasons. While the marketplace has been slow for many players this off-season, prompting complaints from the players' association, top stars have gained robust deals. Four of the largest seven contracts will have been agreed to since Feb. 19, with Trout and Harper joined by Manny Machado ($300 million for 10 years with San Diego) and Nolan Arenado ($260 million for eight years with Colorado). 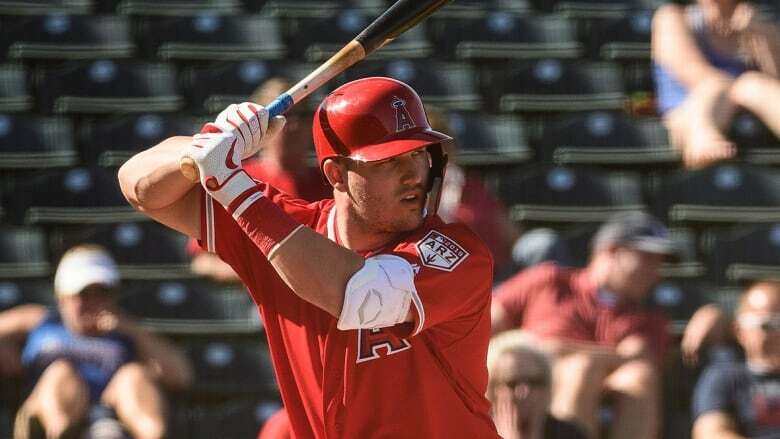 Although Trout recently built a home in his native Millville, N.J., he is staying on the West Coast with the Angels, who are coming off three straight losing seasons and haven't won a playoff game during his career. Trout has been an all-star in each of his seven full big league seasons and hit .312 with 39 homers, 79 runs batted in, 24 steals and 122 walks last year. He led the major leagues in on-base-plus slugging percentage in each of the last two seasons. Trout has a .307 average with 240 homers, 648 RBI, 189 steals and 693 walks in eight big league seasons. He was voted American League rookie of the year in 2012, won the AL MVP award in 2014 and '16 and finished second in MVP voting four times, tying the record shared by Stan Musial, Ted Williams and Albert Pujols.